Undersheriff Colon joined the Sheriff’s Office in 2015. The Undersheriff was born in Newark and raised in Elizabeth, NJ. After graduating from Elizabeth High School, he joined the United States Marine Corps where he served 12 years from 1985-1997. The Undersheriff joined the Elizabeth Police department in 1994, serving over 20 years. He worked in many different divisions including Patrol, Community Services, Selective Enforcement, Emergency Services Unit, the Detective Bureau, as well as serving as the Commander of the Departmental Honor Guard. During his tenure with the Elizabeth Police Department, Undersheriff Colon was the recipient of numerous departmental commendations. 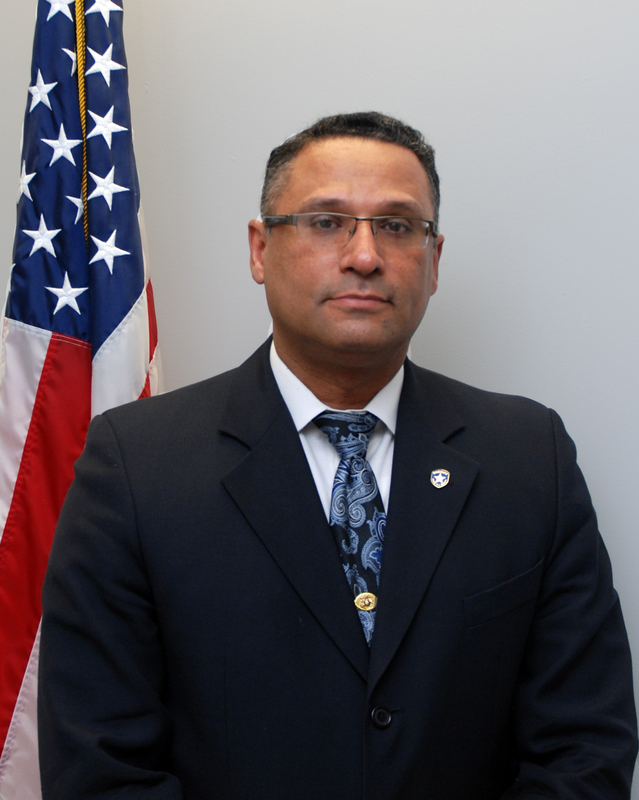 Undersheriff Colon oversees the Court Security Division, the Complex Security Division, the Sheriff’s Security Division, and the Bureau of Criminal Identification.